Bok choy is a no-brainer. I had never heard of it a few months ago but now it is growing in my garden almost year round. 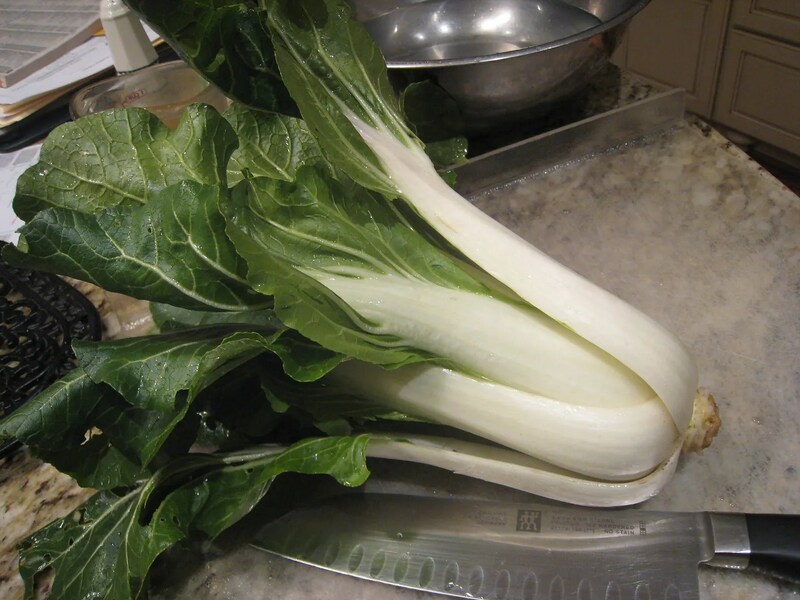 Bok Choy is a brassica (think cabbage, broccoli, kale) and is often referred to as Chinese Cabbage. For the whole story on Chinese cabbage click here for the interesting wikipedia entry. I used the recipe linked above as a template but modified it. No ginger…. 1/2 tablespoon of Asian oyster sauce in the chicken bullion water (who has 3 tablespoons of stock ready anyway? )… Lime juice, not lemon juice, because that’s what I had… Kroger generic soy sauce vs the fancy tamari stuff it called for…. 2 small cloves of fresh garlic vs 1 clove….no sesame seeds and definitely no tofu. Basically I just went with what I had on hand. Was it good? Yes, much better than I anticipated. Mrs cohutt gave it raves and I will definitely prepare this again. This made two nice side dish portioned servings. I wonder how bok choy would taste in sauerkraut? I’m new to kraut making and may try some in a new batch. I may have to plant some this spring if it turns out. I love reading about your garden! No experience with ‘kraut except for consuming the occasional Reuben or bratwurst. Sounds good! I never had any luck growing Chinese Cabbage…it always goes to seed on me. I think I’m sowing it at the wrong time.